MAHALAGANG PAALALA: ANG MYRA ULTIMATE AY HINDI GAMOT AT HINDI DAPAT GAWING PANGGAMOT SA ANUMANG URI NG SAKIT. Gerald Anderson has come a long way since his first season in Pinoy Big Brother. He’s been in showbiz for more than a decade now, and that only means one thing: a throwback is of the essence! So with that, we took a trip down memory lane, and rounded up five fiercely beautiful characters he’s fallen in love with—on-screen. Read on! Mae Chua (Kim Chiu), Paano Na Kaya? What started out as a platonic friendship blossomed into a great love story between Mae Chua (Kim) and Bogs Marasigan (Gerald). And while it took time—and a few heartbreaks—before they realized that they were meant to be together, we’ve got to hand it to Mae. She was brave enough to tell her best friend how she felt about him, and that has got to take a lot of confidence to pull off. After crossing paths at a beach resort, the sassy Tintin Paraiso (Arci) and the hopeless romantic, Jake del Mundo (Gerald) just couldn’t get enough of each other. Who could blame Jake? This woman was real self-starter—committed to hitting her goals and getting what she wanted in life and in love. Plus, despite the fact that she’d been through so much pain from her past relationship, her decision to still choose love says a lot about her character. It wasn’t just her good looks that made this woman deserving to be called ‘beautiful’. She would always stand by Budoy’s side, through the good and the bad—even if others couldn’t understand. Dyesebel braved the world above the ocean to go for what her heart desired. And while she loved Gerald Anderson’s character, Fredo, she would still consider her family’s wellbeing. Even though this opened the door to the war between humans and mermaids, in the end, Dyesebel proved that kindness and love could conquer all—risking her life for the ones who plotted against her family. This year, Myra launched a commercial that made women wonder, “Who is this gorgeous lady who caught Gerald Anderson’s eye?” As it turned out, it was Bb. Pilipinas Intercontinental 2014, Kris Tiffany Janson! More that her stunning looks, Kris had this quiet confidence the guys would just go crazy over. Her secret? Her glow starts from within—cultivating her radiance. Thanks to Myra, she’s achieved that gorgeous skin na kapansin-pansin! 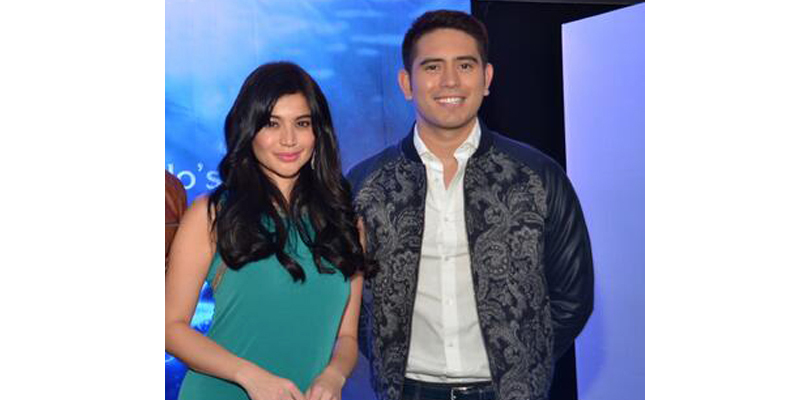 In his years in the ‘biz, Gerald has fallen in love with all these self-assured and dazzling characters on-screen. If you want that same confidence that will make others turn their heads, try Myra’s products now! Who knows? You could be bumping into Gerald Anderson anytime soon; and maybe, just maybe, he could fall in love with you not just on-screen, but in real life!